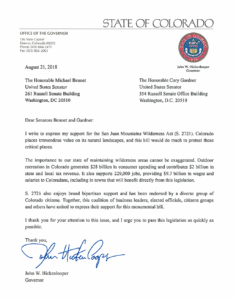 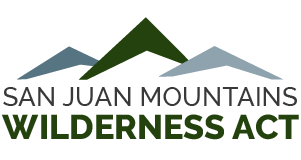 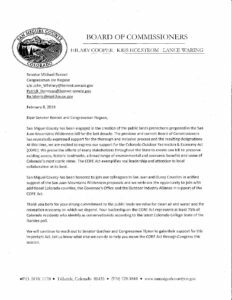 On January 28th, 2019 Colorado’s Senator Bennet reintroduced the San Juan Mountains Wilderness Act, which would secure protections for nearly 60,000 acres in the heart of the San Juan Mountains, as part of a larger state-wide public lands bill. 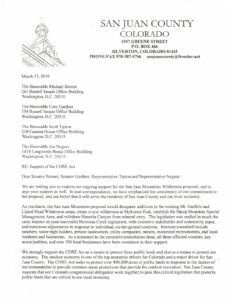 The Colorado Outdoor Recreation and Economy (CORE) Act would protect 400,000 acres of Colorado wildlands from energy development and other threats. 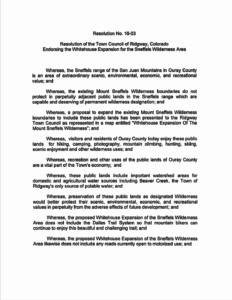 In the San Juans, half of the 60,000 acres would expand or create wilderness for well-known vistas, including the Sneffels Range and Lizard Head, while the other half would ensure management protections from mining, roads and oil and gas development for Ice Lake Basin, Hope Lake and Naturita Canyon. 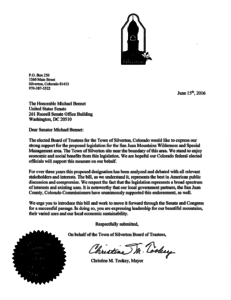 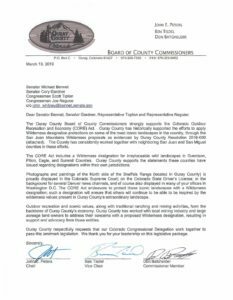 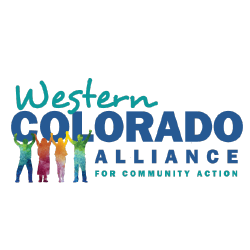 Ask Senator Gardner and Representative Tipton to co-sponsor the CORE Act. 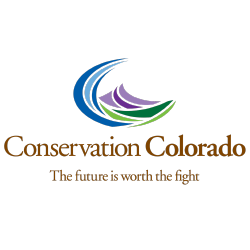 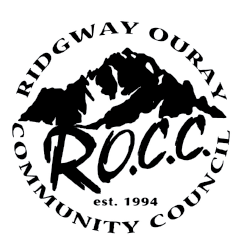 Hover over proposed protections for more information!